Silversea Cruises has released two brochures detailing the luxury line’s voyages in 2014, when its seven ships will visit 500 destinations on seven continents. The brochures are available in digital and print formats, and can be viewed on Silversea’s website. A highlight is the 113-day World Cruise aboard Silver Whisper, which departs Jan. 6 from Los Angeles to visit 54 destinations in 29 countries. 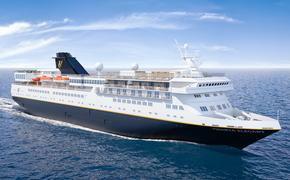 Also, the company will visit Myanmar (Burma) during three Asia cruises in 2014. Also noteworthy is the Silver Explorer’s cruise through the Northwest Passage, the famed shipping route that connects the Atlantic and Pacific oceans through the Canadian Arctic.